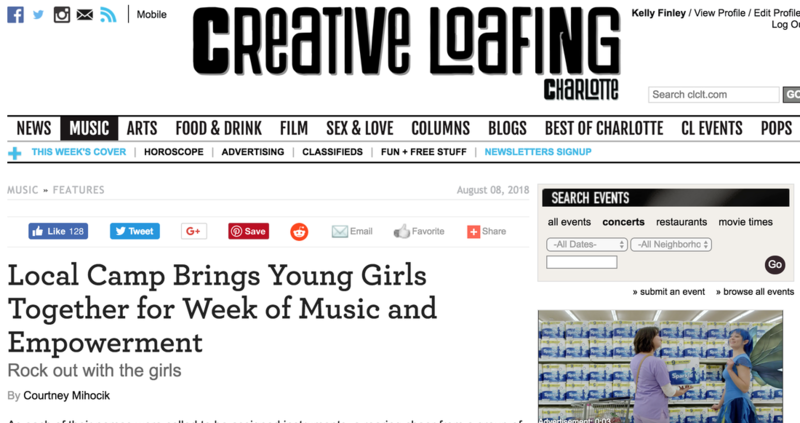 Thanks for the Shout Out in Creative Loafing - celebrating our 5th year of rockin' the Queen City and our first Rock N' Reel show! 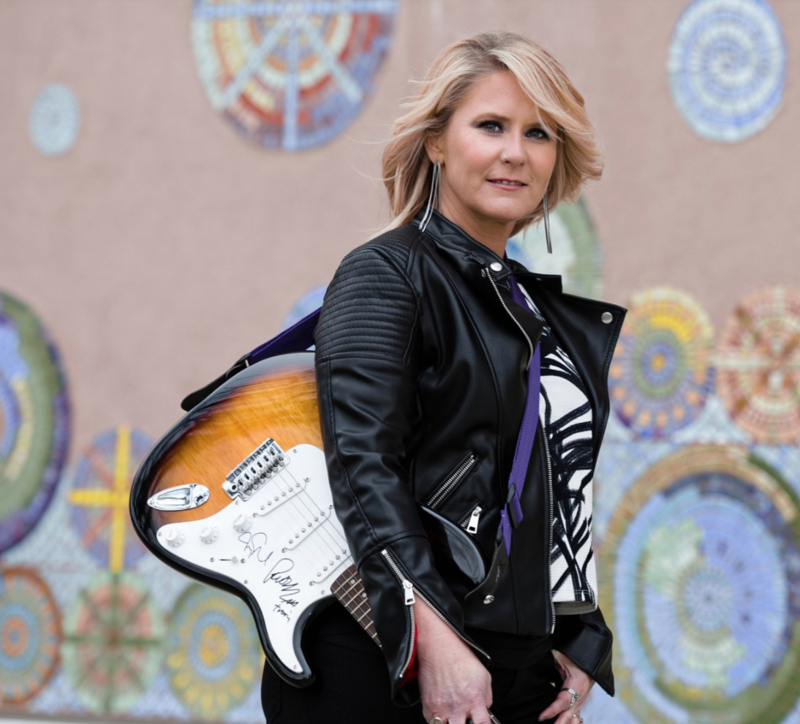 Thanks to Style Blueprint: Connecting Women to their Communities for the FACES OF CHARLOTTE shout out! 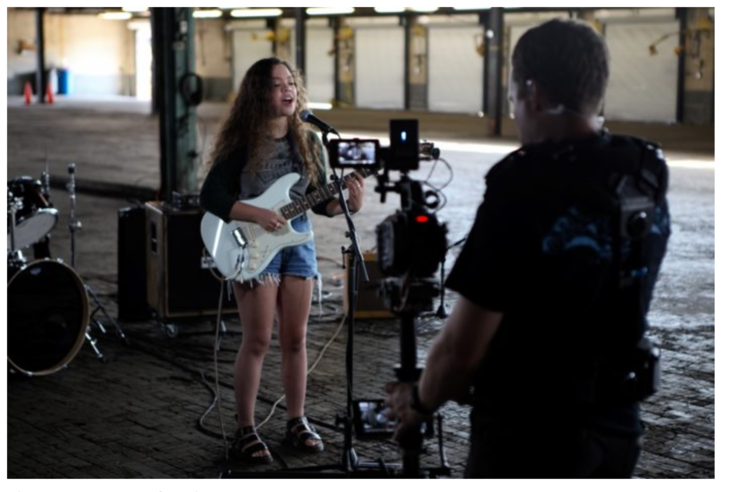 ​Thanks to Charlotte Agenda for featuring the coming "Down Yonder" documentary filmed by Priceless Misc at Camp North End! 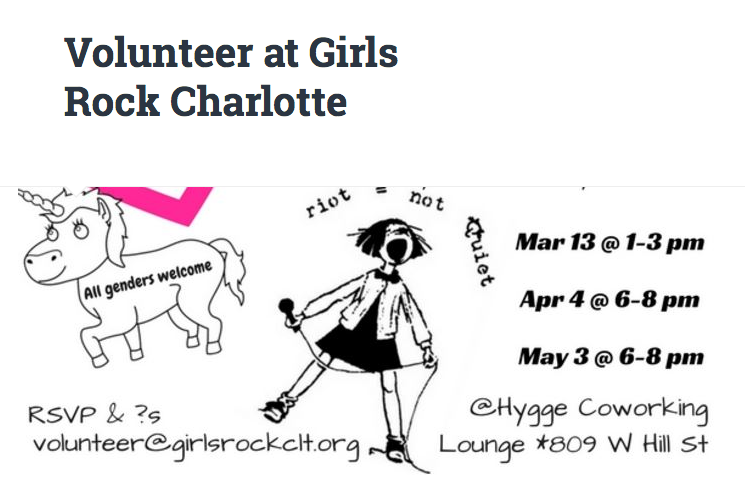 All profits from project will be donated to Girls Rock Charlotte! Thanks to CLTTales for your support and for the shout our during our 2017 Volunteer Drive!!! 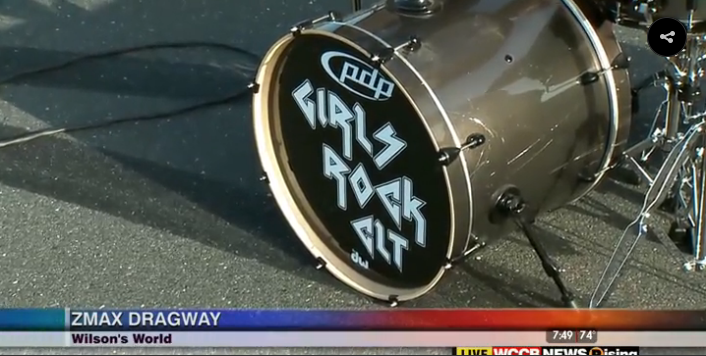 ​Lots of fun on Wilson's World on WCCB talking about Girls Rock Charlotte and Share Charlotte. And one of our campers, Grace, had an early morning rockin' the drums! 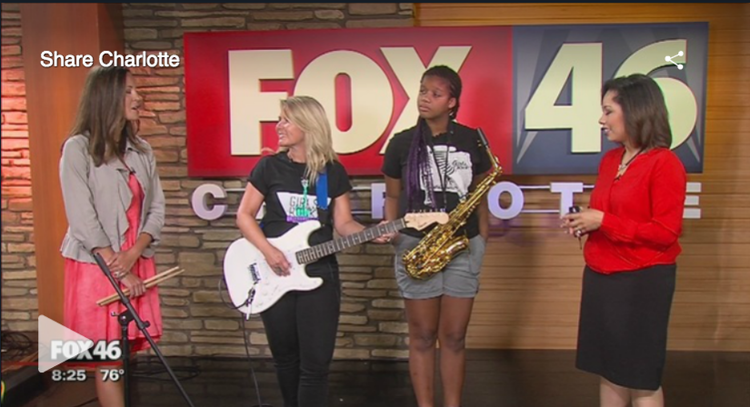 So much fun to do this interview for another good community cause = Share Charlotte...and to feature one of our original campers and awesome sax players, Darya Bernard! 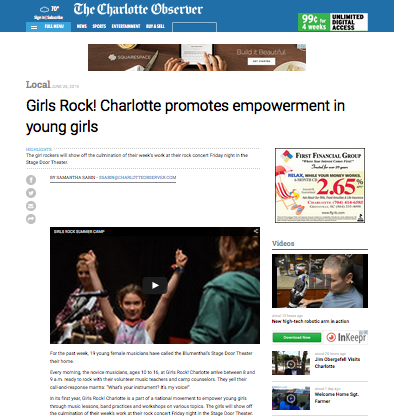 Thanks to The Charlotte Observer for a great article and video July 30 featuring our 2015 Summer Camp! 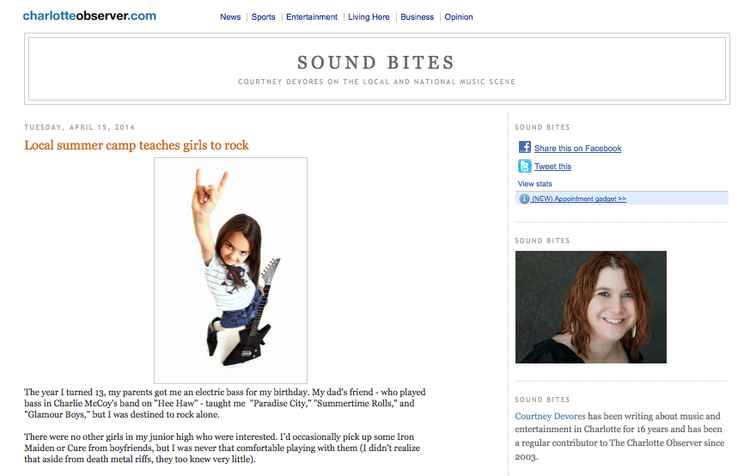 Click the photo for the article and some great pictures. 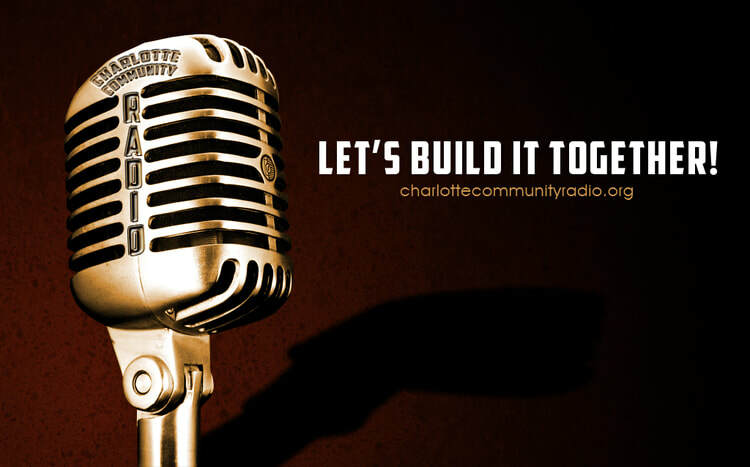 Music Director, Krystle Baller and Founder Kelly Finley chat about Girls Rock Charlotte with James Willamor on his radio show, Between the Wickets featured on Charlotte Community Radio. Stream the show here. A PROGRAM CREATED BY SOCIAL VENTURE PARTNERS (SVP) TO IDENTIFY, SPOTLIGHT AND SUPPORT INNOVATIVE AND EFFECTIVE NON-PROFITS. 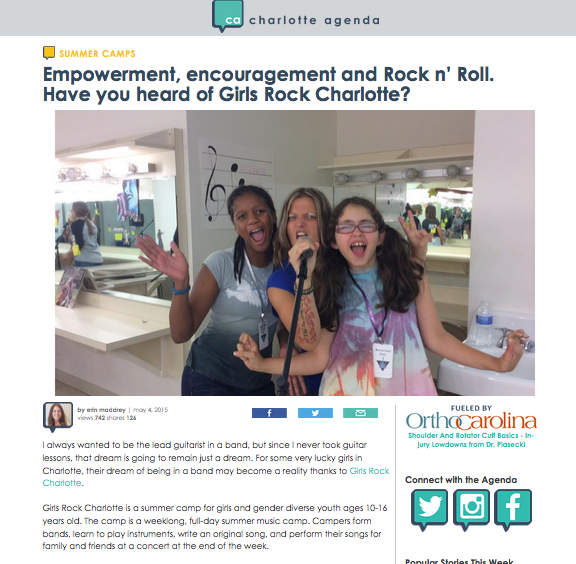 The program culminated March 3 with SEED20 OnStage!, a high-energy event where Girls Rock Charlotte was one of the Top 10 of the participants to compete for cash awards for their organizations.